Take Authority Over the Spirit of Delay! I already posted today’s prayer and I wasn’t going to add another post, but I feel this is important. Today I received an email from a person who had found my prayer for autism on our other website, Beyond the Barriers. This woman was expressing her gratitude for the prayer but went on to elaborate a bit on her grandchild’s condition which is known as global delay. This particular type of autism affects the entire body. 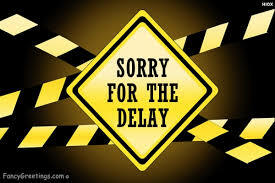 Every part of development is delayed and hindered in some way. Now, this post is not about autism, but I believe God showed me a word of confirmation regarding something going on in HIS body. Let me back up a bit and I’ll illustrate my point. In September, Norm and I accepted an invitation to go to Washington D.C. to help out with worship and prayer at the Awaken the Dawn rally on the Washington Mall. The moment we said yes and made a commitment to go, it became apparent the enemy had an assignment to hinder our plans. As soon as we paid for our airfare and hotel, the very next day all our scheduled jobs and contracts came to a screeching halt. It was like work miraculously dried up! The next thing that happened, and literally within the same week, is that our precious kitty got suddenly and unexplainably deathly ill. It cost a lot of money we didn’t necessarily have to save her life, but it put an even more financial strain on us. Since that time, as we have prayed and decided to launch this prayer campaign, it has happened again, only now with another pet. (Completely unrelated situations). For a couple of months prior to Christmas, jobs just unexplainably got pushed back or put on hold. When something happens once, you might not think much of it; but when things affecting your finances or ability to move forward keep dragging you down (or backward), it becomes obvious that there is much more to it. It's like the enemy is pulling with all his might against the hands of time, trying to slow people down as much as possible, because he knows a great revival is about to occur! In the last few days, my husband and I have felt the need to take authority over the spirit of delay, and I suggest that many of you should do the same. As we've been praying, we began declaring that we are going to be stubborn and persistent when it comes to not giving up in prayer. God wants us all to be like the tenacious woman in Luke 18, who insisted on getting justice from her adversary. And, like the woman with the issue of blood, who pressed through the limitations and hindrances to reach Jesus - her faith pulled her healing out of the anointing. Like Abraham, we learn to call forth those things that are not yet seen and tell them to show up and make themselves known. Like Hannah, we must persist in prayer until our request is granted and we birth the promises of God! Pick up your promise and don't let go until you receive what's yours! Be like Jacob, who wrestled with God until he prevailed. He said, "I will not let go until You bless me!" And God did. While the enemy cannot stop the blessings, he can certainly try to slow them down – to the point where you cannot get ahead financially, relationally or any other way. The spirit of delay can affect much more than finances. It’s the enemy’s attempt to wear down the saints so that they get so frustrated and tired they give up praying, give up on their calling and destiny, and succumb to the battle. This is not a time of compromise, and it’s not a time to give up. This is a time of war! The angel Gabriel visited Daniel with a message letting him know that God heard Daniel’s prayer the first day he prayed, but the Prince of Persia, which was a demonic entity, withstood his prayer and had succeeded in hindering the answer from coming forth. Daniel, armed with revelation, took to fasting to break through and help the answer to his prayer to manifest. We see also in Daniel 7:25 that of the enemy it is written, “He'll speak out against the Most High and wear down the saints of the Highest One. 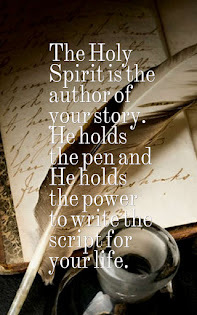 He'll attempt to alter times and laws, and they'll be given into his control for a time, times, and half a time.” (ISV) This is the occult spirit known as the spirit of delay. Its name is recognized by its assignment. The spirit of delay can cause confusion, frustration, a lack of clarity, and tiredness. It is intended to wear a person out. Sometimes it can feel like we have been waiting for such a long time for a breakthrough to manifest that we begin to believe that God just doesn’t want to answer our prayer. Then people begin to give up hope and relent in their prayers because they allow unbelief to convince them it wasn’t God’s will or any number of convincing lies. Believing these lies can also cause a person to become double minded in their prayers, feel upset with God or their circumstances and begin to complain, or refuse to take appropriate action to enter into their promise land. Recognize this is how this spirit works! We cannot afford to let our prayers get weak. I believe that the enemy’s assignment is a global assignment to hinder the body of Christ in every way possible. The enemy has battled many people with a spirit of delay, but perhaps they have not recognized his tactics as being the assignment of this occult spirit and have thus failed to take authority over it. We must partner with one another and multiply our pwer and effectiveness, taking authority over the spirit of delay. Sometimes one person cannot receive a breakthrough until another person does, because their breakthroughs are interconnected. They may not recognize it though, because God has not shown it to them yet. That is why it is so important to pray for other people's breakthroughs just as much as your own. We come together in one voice and in one heart, to pray for the breakthrough of those in Your body. Your sons and daughters need assistance. Release fresh hope, fresh faith, and the desire to pick up their promises and begin to pray in earnest for a breakthrough. Father, let the spirit of delay be bound, paralyzed and impotent of all power in Jesus name. Let there be a release of acceleration, motivation, advancement, and momentum come to Your children to help them advance the kingdom of God. Release Your angels on assignment to help us break new ground, in Jesus name. Show us any areas where You want us to take a new step of faith. 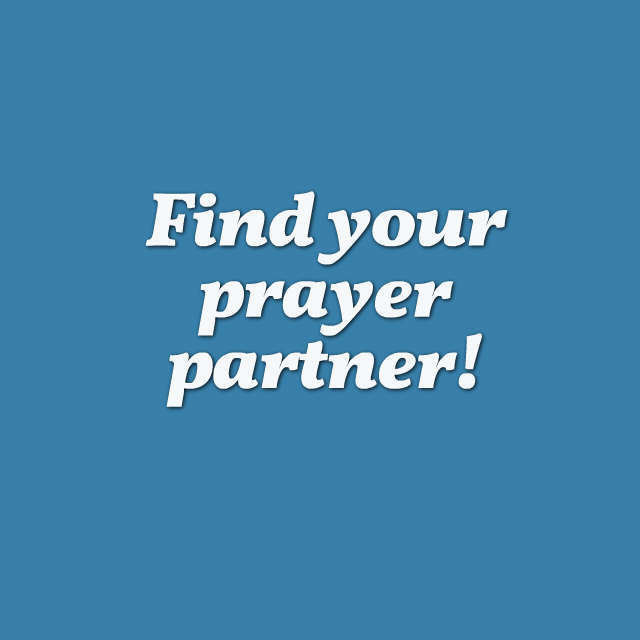 Show us who to contact and who needs my prayers today. 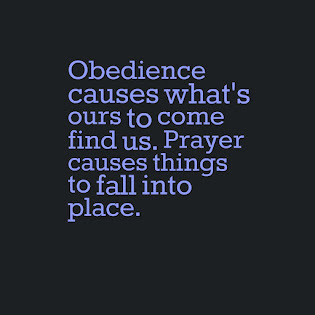 Show me if I have failed to be obedient in anything that might be hindering my prayers from being answered. I ask You to take Your hands and push out anyone with an ungodly agenda, anyone that is a poor steward of what they have been given, and those that have abandoned what You have entrusted to them. Push out those that have abused or mistreated others, and those that are occupying positions they are not qualified to hold. Make room for your kingdom to advance! Let those that You have deemed unqualified or disqualified be plucked up and removed from their positions. Remove those that have occupied strongholds and act as a mountain blocking the progress of others. I use the authority You have given me to lock them out of position and shut the doors. Let their authority, position and power be removed from them. Let those that You have refined and chosen to be set in their proper place so that they may fulfill their calling and assignments, according to Isaiah 22:19-22. 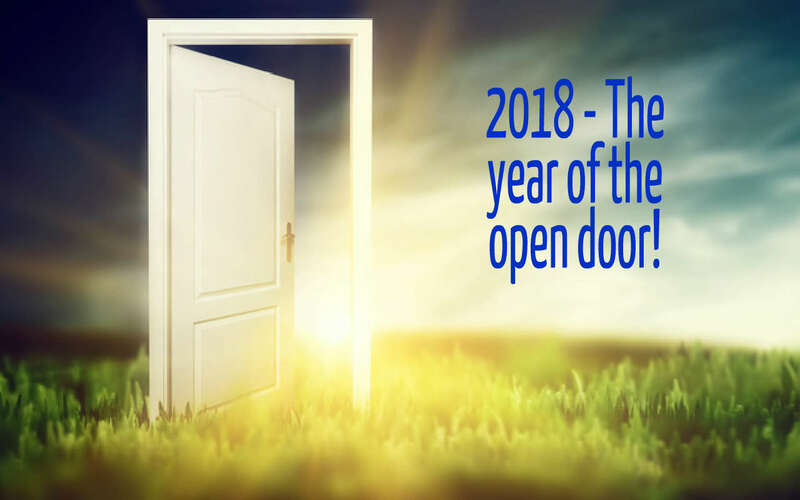 Let every blockage, hindrance and closed door be opened now, in Jesus name. 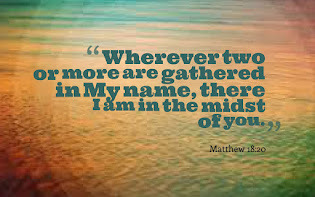 Let the gates of bronze be broken now, in Jesus name, that Your people may come into what You have appointed for them. I declare the king has gone ahead of us, leading us out according to Micah 2:13. I thank You for hearing and sending the answers to Your people, O God. Thank you that the answer has been sent and the enemy has been stripped of all power to withstand the prayers of Your people. In Jesus name, Amen.